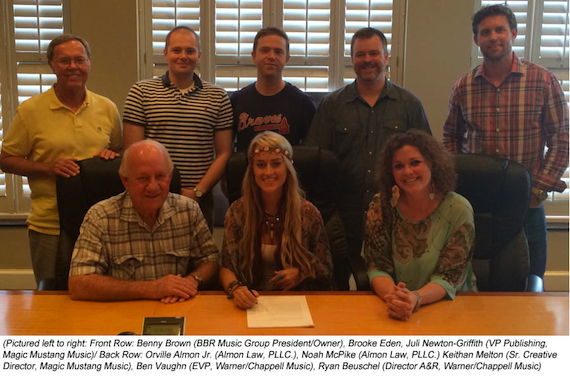 Magic Mustang and Warner/Chappell Music have jointly signed Brooke Eden to their respective publishing rosters. This marks the first co-signing venture between the two publishing companies. Florida native Eden has opened for several artists over the past four years, including Alan Jackson, Sugarland, Florida Georgia Line, Sara Evans, Dustin Lynch, and more. She co-wrote her current single, “American Dreamin’,” with Sherrie Austin and Will Rambeaux.